Wine is a blend of different vineyards with grapes of distinct structure. Wine is fermented in stainless steel vats, without skin contact, using methods of quick grape processing, controlled fermentation and ageing on fine lees until January. Blending of single vineyard vats takes place in March.The wine is ready for the market in May-June. 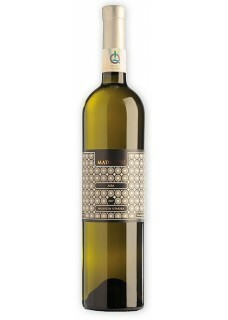 Alba is a fresh and elegant wine of fine structure, savoury, of attractive fruit aromas, pronounced minerality, with a hint of bitter almond aftertaste. It reaches its harmony during autumn and winter. Th is wine has unusual longevity for its style. Ageing in the bottle brings more herbal and floral notes to the fore. Mostly because of its minerality and bitter almond aftertaste, this wine became successful in gastronomy, as well as an easy drinking event wine. Food pairing: Fish, baked in oven, pasta.